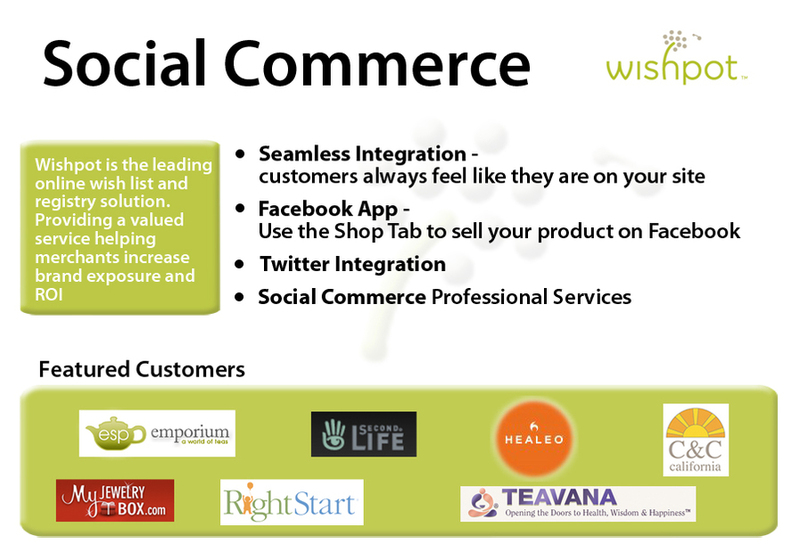 Wishpot is an online social shopping service that provides a registry platform for online merchants to integrate with their website. Merchants will maintain the look and feel of their brand and provide customers with an online registry for their site. We've created a Facebook application for merchants to sell their products on Facebook.